That’s what progressive judges and politicians want to see. For example, … Maryland and California are the most recent states in which progressive politicians are attempting to regulate – and eventually destroy – home schooling. Proposed legislation in both states would assume parents are guilty until they prove their innocence … guilty of child abuse, that is. This is the new attitude of state lawmakers toward parents who opt to homeschool their own children. Because David and Louise Turpin – the horrible Riverside County, CA couple who police say tortured their 13 children by chaining them to their beds, abusing and starving them – were registered with the state as homeschoolers. Maryland and California lawmakers are not missing their opportunity to use a manufactured “crisis” to expand their bureaucratic power … attack people of faith … and destroy home schooling as an educational option. If the proposed bills in the respective state legislatures are passed, the legal option of homeschooling will be reduced from a fundamental parental right to direct the education and school choice for their children … to compelled consent to government intrusion into homes throughout these states – without just cause. On the surface, the new requirements in these bills may seem sensible and harmless … but they begin a process of government review … oversight … intrusion … and control. They will effectively end home schooling in both Maryland and California. Both bills allow government officials – for the first time ever – to enter a private home without having a reason to suspect there’s a situation in the home requiring their intervention. The proposed legislation provides no protections against invasion of privacy by the home school inspectors once they are inside a home. The authors of the proposed bill claim that the goal of the legislation is to “protect children” from parental abuse … yet the home inspections are to be conducted by appointment. If a parent was committing child abuse and knew that an inspector was coming at a certain time … the parent would send the children out of the home on a “field trip” and remove any evidence of abuse before the inspector arrived. The bill would be totally ineffective in preventing potential future abuse by homeschooling parents … and as already stated would open the door for greater regulation in the future. Accuse parents who home school of being more likely to abuse their children than parents who send their children to public schools. Statistics on child abuse suggest the opposite: rates of abuse are much higher for children who attend public schools … including abuse by public school teachers! They want homeschooling parents to have to prove to their satisfaction that they are not abusive to their own children. In fact, the California legislature – because of the California Teachers Association union – refuses to pass legislation to stop predator teachers in the public schools. Promote the idea that only the state can create a safe learning environment. State legislators argue that the state has a responsibility to ensure that each child is in a safe learning environment. No one ever publicly questions this assumption. But is school safety really a state responsibility only? First – it’s the responsibility of each child’s parents and/or extended family. Second – it’s the responsibility of the child’s local school administrators and teachers. Third – it’s the responsibility of local law enforcement, fire protection and medical personnel. Fourth – it’s the responsibility of the local school district administration. Fifth – it’s the responsibility of the state to aid and encourage the other 4 levels of responsibility. Judicial activists want to use the power of the court to stop home schooling. 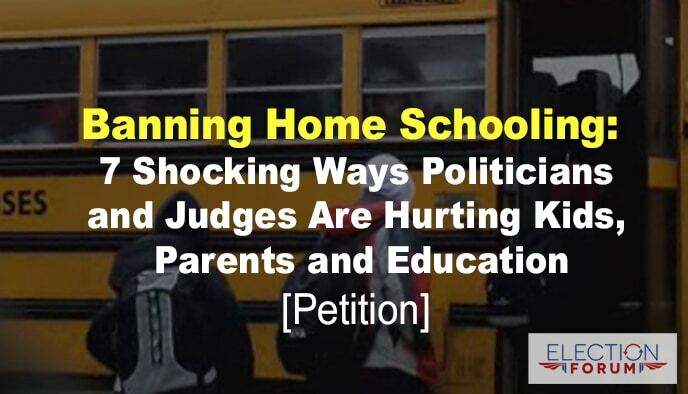 Judicial activists throughout the nation – with their progressive philosophy of complete government control – hate home schooling and want to see it stopped. His ruling was later overturned in another court by a panel of judges. In Dallas County a few years ago, a District Court judge ordered the removal of 7 children from a Texas homeschool family – in spite of no evidence of abuse or neglect. The illegal attacks on this Christian family by activist judges and the Texas Child Protective Services lasted for over 3 years. Progressive politicians want to stop all competition with public government-run schools. Lawmakers pushed legislation that would have resulted in their destruction. We need to show massive opposition to this government intrusion. Of course, there would also be grounds for closing public schools. Teachers and coaches have been arrested for becoming sexually involved with their students, even going so far as to spiriting them away from their homes and families. Perhaps we should close public schools to protect the students. Students and teachers have been murdered by former students and other gun-toting criminals. Perhaps we should close public schools to protect them. Students have been bullied by other students and sometimes even teachers to the point that they have committed suicide. Perhaps we should close public schools to protect them. There are thousands and thousands of children being homeschooled in loving and caring homes. These students are thriving, learning far more than their public-schooled neighbors, and are well-socialized. I attended public schools growing up and I taught in public schools. I have 11 homeschooled grandchildren and, in retirement, have had the joy with assisting in their education. I am constantly amazed and excited at how well all of the children are doing – academically, socially, and spiritually. It is pretty difficult for the far-left government schools to teach their communist agenda if parents and Christian schools are teaching a portion of the populace. They want no yeast working through their batch of dough. I taught my children, and then my grand-children were home-schooled and now my great-grandchildren are being home-schooled. 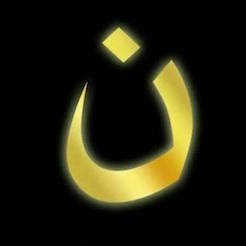 It has been a wonderful thing for them spiritually.